October 15, 2018 — Fishmeal and fish oil industry sources are optimistic about the upcoming Peruvian anchovy fishing season, which might start earlier than expected, in mid-November. Peru’s ministry of production (Produce) is expected to announce the start of the fishing season around the end of October, taking into account the outcome of the maritime institute’s ongoing evaluation. “Sea conditions are optimal and good reproduction has already started on the acoustic cruise that will end at the end of October,” said Humberto Speziani, IFFO board member and former president of IFFO and of the Peruvian National Fisheries Society (SNP). Although the evaluation hasn’t yet been completed, it seems that biomass in the water is abundant, which could lead to a quota of 2 million-2.5m metric tons, according to sources. Despite rumors that the quota could be as high as 2.5m metric tons, 2m-2.2m metric tons is more in line with the historical average, one source pointed out. “2m-2.5m metric tons is quite a reliable assumption of quota,” Jean-Francois Mittaine, an analyst with 30 years experience in the sector, told Undercurrent News, adding that fishmeal and fish oil prices were currently “quite stable”. Super prime fishmeal is currently priced at around $1,630-1,650 per metric ton, while fish oil is at around $1,350/t, according to industry sources in Peru. Meanwhile, prices in China were slightly falling, driven by expectations of a good upcoming Peruvian season, according to sources. February 15, 2018 — Fishmeal and fish oil are and will continue to be efficient and sustainable aquaculture feed components if they are responsibly sourced and used strategically, while not using them could compromise fish health and lead to unnecessary waste, IFFO, The Marine Ingredients Organisation has stressed. In response to an article published by National Geographic, titled “Why salmon eating insects instead of fish is better for environment,” which discusses fishmeal and fish oil replacement in salmon feed, Andrew Mallison, director general of IFFO, said the total replacement of fishmeal and fish oil, as called for in the article, was unjustified and damaging to the fish farming industry. 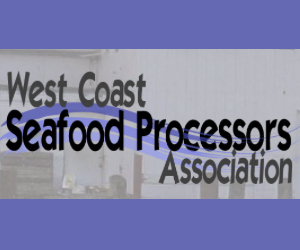 Mallison said that while IFFO agreed with the need for additional feed options in aquaculture to ensure the growth of “this vital industry,” the article quoted information that was both out-of-date and incorrect. The improvement in management of wild-capture fisheries has ensured that in recent years stocks are in fact steady and not declining, according to the FAO’s State of World Fisheries and Aquaculture 2016, he said. Regarding the efficiency of the use of fishmeal and fish oil, Mallison highlighted that the latest FIFO (fish in: fish out ratios) using 2015 data showed a conversion rate of one kilogram of wild fish used in feed creates 1.22 kilograms of farmed salmon, demonstrating that farmed salmon now produce globally more consumable protein than is used in feed. March 25, 2016 — In an effort to make fish farming more sustainable, the aquaculture industry has been cutting back on feed made of other fish and replacing it with plant-based alternatives. But a new study warns that may make the fish less healthy to eat and have negative impacts on the environment. Many fish species that are farmed, including Atlantic salmon, the most farmed fish in Canada, are carnivores that eat feed traditionally based on fish meal and fish oil. Environmental advocates such as Greenpeace have criticized the practice as unsustainable, as wild fish that could be used to feed people or maintain wild populations need to be caught in order to produce the fish food. “They realized that we’re grinding up a lot of fish to feed the fish,” said Jillian Fry, director of the Public Health and Sustainable Aquaculture Project at Johns Hopkins University in Baltimore, Md. The price of fish meal and fish oil has also increased with demand. The study said the use of plant-based ingredients could reduce the amount of healthy omega-3 fatty acids in fish – one of the things that makes fish like salmon attractive and tasty to consumers. While this is something salmon farmers are aware of and trying to avoid, Fry says, omnivorous fish that already eat more plant material and have less omega-3s, such as tilapia, may end up with even lower levels. March 21, 2016 — Gloucester, Mass. 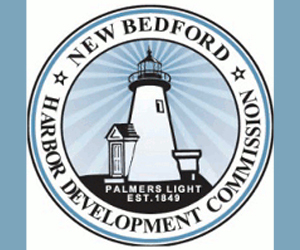 — Interstate fishing managers will commission a study of the commercial fisheries for Atlantic menhaden, an important forage fish that is caught all along the East Coast. Menhaden are an important bait fish and are also caught for use as fish oil and fish meal. 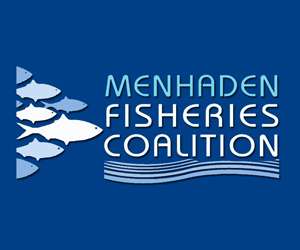 States from Maine to Florida have been the site of commercial fisheries for menhaden in the past ten years. 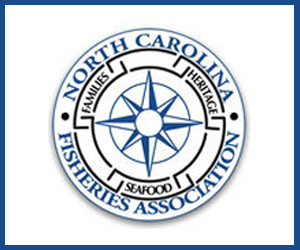 March 14, 2016 — A change in how farmers are raising seafood is expected to affect human nutrition, a new study found. According to the research team from the Johns Hopkins Center for a Livable Future (CLF) at the Johns Hopkins Bloomberg School of Public Health, the University of Minnesota’s Institute on the Environment and McGill University, there has been a global shift in the type of feed that is being used in fish farming. The team explained that prior to this shift, farm-raised seafood ate feed made from fish meal and fish oil, which came from wild fish. However, since catching wild fish to use as feed was no longer sustainable, farmers have been relying on plant-based options, such as soybean meal. The researchers noted in 2008, aquaculture feed contained 50 percent more soybean meal than fish meal. They estimated that from 2008 to 2020, the use of plant-based ingredients can increase by 124 percent. November 12, 2015 — Despite great advances in aquafeed formulations aimed at lowering aquaculture’s dependence on wild-capture fishery resources, there is little doubt that fishmeal and fish oil still play a crucial role in the global seafood supply. The highly nutritious marine ingredients are chief components in the production of the world’s animal protein supply — some 20 percent of the global fishmeal supply goes to pig farmers, while high-quality fish oil remains in strong demand for direct human consumption as well. The shape of the world’s reduction fisheries, therefore, has never been more important. Andrew Jackson, technical director at IFFO (The Marine Ingredients Organisation), recently spoke with the Advocate about the latest in reduction fisheries, the ever-increasing part that processing byproducts has to play and why fishmeal is so hard to replace, even for fish considered to be largely herbivorous. Jackson announced earlier this year that he would step down from his post as technical director at the end of 2015, after nearly a decade of service. He will, however, take up the reins as chairman of the IFFO RS (Responsible Supply Certification Program) independent standards board. “It is my hope and intention to keep serving,” he said of his upcoming two-year appointment. WRIGHT: What is the difference between “mining” a resource like a forage or reduction fishery and “cropping” it? JACKSON: People often associate fishing with removing a resource as you would with mining. Like with coal, once it’s taken out of the ground, that’s it, unless you’ve got several million years to wait. You’re not going to get anything back; it’s a one-use resource. You can look at fisheries as, we’ve got this valuable thing, not in the ground but swimming around in the sea, and we can go out there, and we can take it out and we call sell it all and it’s worth this much. You can look at it like that. But how much better to crop it, as you would a sustainably managed forest. You take it out at a rate at which it can be replenished by nature. That’s what the best management does. And that is when you become truly sustainable. In my book, sustainable means you can keep doing the same thing over and over again, year after year, and it’s always there. That’s what we should be looking to do, in any fishery, whether we’re taking it out for direct or indirect human consumption. November 12, 2015 — REEDVILLE, Va. – Small business owners along the Chesapeake Bay are concerned that commercial fishing by Omega Protein is hurting their livelihood. 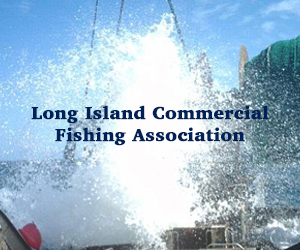 Both rely on catching menhaden, a small bony fish that is valuable to Omega for its oil and bone meal, as well as for bait to charter boat captains and crabbers. Omega has fished for menhaden out of Reedville since the 1870’s. It hauls in millions of them each weekday during a fishing season that is quota-based and runs roughly from May to November. 10 On Your Side visited the Reedville operation and spoke with several employees about the company’s importance to the community. We also met with a charter boat captain who is convinced that Omega’s large hauls are hurting his business along with hundreds of others – marinas, crabbers, tackles shops, etc. October 7, 2015 — After decades of growth, the aquaculture industry continues to expand as a crucial segment of the global seafood market, and sustainably harvested fish meal and fish oil are fueling this growth. In a new video produced by Saving Seafood and released in partnership with IFFO, the trade association representing the marine ingredients industry, and Omega Protein, aquaculture industry leaders and experts discuss the future of fish meal, fish oil and farmed seafood. The video, which premiered on 28th September at IFFO’s Annual Conference in Berlin, is also being made available to the public. “People talk about fish meal replacements; there really aren’t fish meal replacements, because no one ingredient is going to have everything that fish meal has,” said Dr. Rick Barrows, a Fish Nutritionist at the USDA’s Agricultural Research Service Fish Technology Center in Bozeman, Montana. Fish meal and fish oil are irreplaceable because they are some of the best sources of the proteins and essential nutrients that are vital to healthy farmed fish. Some of these nutrients, especially omega-3 fatty acids, are an increasingly important part of human diets as well, having been linked to improved heart health and better brain function. 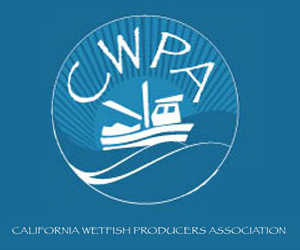 WASHINGTON (Saving Seafood) – September 28, 2015 – After decades of growth, the aquaculture industry continues to expand as a crucial segment of the global seafood market, and sustainably harvested fish meal and fish oil are fueling this growth. In a new video produced by Saving Seafood and released in partnership with IFFO, the trade association representing the marine ingredients industry, and Omega Protein, aquaculture industry leaders and experts discuss the future of fish meal, fish oil, and farmed seafood. The video, which premiers today at IFFO’s Annual Conference in Berlin, is also being made available to the public. Marine ingredient fisheries, like the menhaden fishery in the U.S., provide a steady supply of fish meal and fish oil to meet the needs of the aquaculture industry. 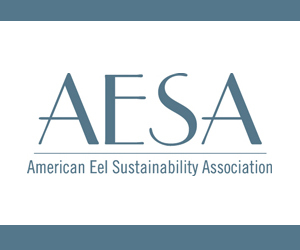 Dr. Jeffrey Silverstein, the USDA National Program Leader of Aquaculture notes in the new video that these fisheries have “been very sustainable over the last 30 years,” and that the ingredients they provide will continue to be valuable as aquaculture expands. With growing global demand for marine ingredients, the aquaculture industry is also looking toward the future, adapting and innovating to make the use of fish meal and oil more efficient. While new formulas and substitute ingredients will become increasingly common, fish meal and fish oil will remain irreplaceable components of aquaculture. “Aquaculture will, over time, be able to grow, but fish meal will still be at the base of aquaculture, and if you took fish meal away, this would have a very serious effect on the aquaculture industry in the world” says Dr. Andrew Jackson, Technical Director of IFFO. Dr. Jackson was awarded the Seafood Champion Leadership Award the at the 2015 SeaWeb Seafood Summit in New Orleans, Louisiana, in acknowledgement of his work to promote sustainability in the marine ingredient and aquaculture industries. 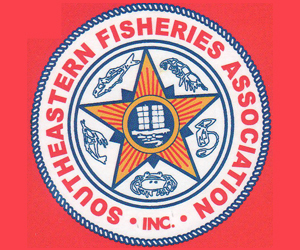 The interviews with industry leaders and experts were conducted at the 2015 Seafood Expo North America in Boston and the 2015 SeaWeb Seafood Summit. Featured in the video are Drs. Silverstein, Rubino, Barrows, and Jackson, as well as Andrew Nagle, a member of the Seafood Sales and Purchasing team at the John Nagle Company, located in Boston, Massachusetts. Saving Seafood is a Washington D.C.-based non-profit that conducts media and public outreach on behalf of the seafood industry. IFFO is an international non-profit that represents and promotes the global fish meal, fish oil, and marine ingredients industry. Omega Protein Corporation is a century old nutritional company that develops, produces and delivers healthy products throughout the world to improve the nutritional integrity of functional foods, dietary supplements and animal feeds.